The all-knowing mind of Google is found wanting when browsing my Spam folder in Gmail. 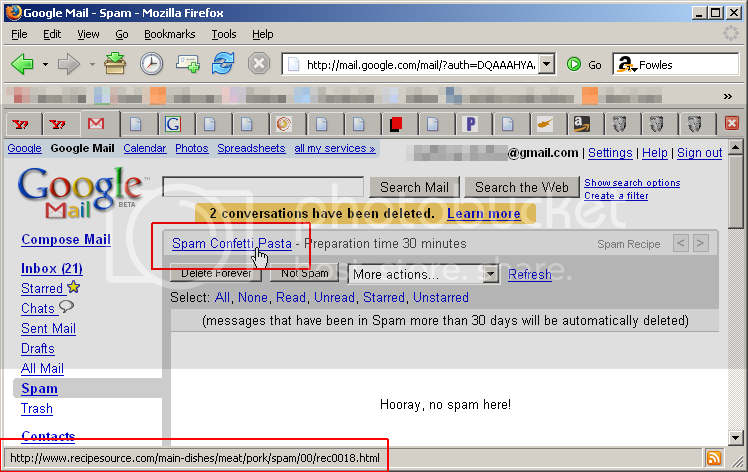 Yes, I really want a recipe for Spam Confetti Pasta when deleting my V1a6r4 emails. Well done there! "Plasma TV deals - contains no spam"